This Sylvania 10" Portable Dvd Player is in great working condition. The Sylvania 10 in. 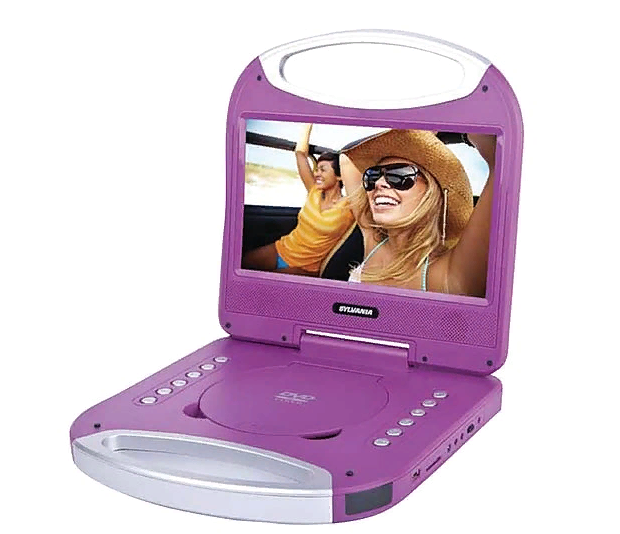 Portable DVD Player with Integrated Handle is here to save the day from boring road trips or at home doldrums. This purple unit is loaded with a built-in rechargeable battery, wall power adapter, earphone, remote control and vehicle power adapter! The design is ideal for road trips, long and short airplane rides or just hanging around the house. 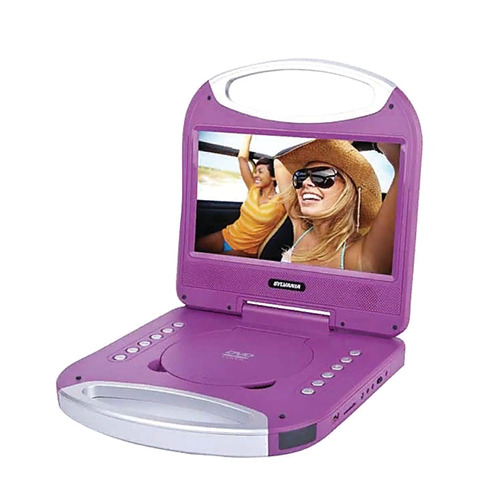 The folding design with handle is ergonomic and creates a nice cover for the screen and DVD/CD player. The brilliant screen works in all environments and will surely impress and turn those frowns upside down!